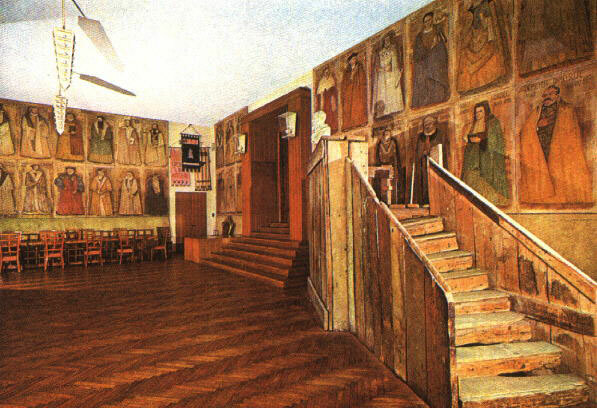 Hall with forty portraits of distinguished graduates of the University of Padua. Among them one can discern Ioannis Kapodistrias, who studied medicine there. Like many diplomats and politicians of his era, Kapodistrias had also been a man of letters. Even when the Ionian Islands were under the declining Venetian rule, the main choices for the offspring of Ionian aristocracy were law school and medicine. So, he studied medicine at the University of Padua; nonetheless, he showed an early amplitude of interests. His archives reveal that he concerned himself with history, language and culture, in general. Indeed, he was the “secret” author of some texts published under the names of his friends and associates. Besides, the founding of the “Society of the Friends of the Muses” (1814) was his inspiration , which epitomized the vision of his intellectual circle for an “Orthodox Enlightenment” of the regenerating Hellenism. Kapodistrias was especially interested in history and matters of education. His interest is reflected in the number of memoirs, notes and drafts of texts found in his archive or even in the remnants of the books that have been found in his library. 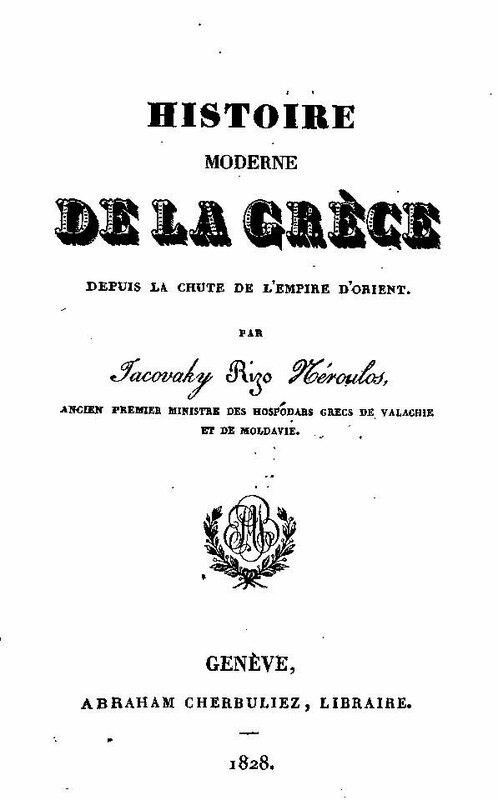 He wrote many historical notes, most of which remained unpublished, whereas those published were under the name of some of his friends or associates; for instance, the book Histoire Moderne de la Grèce depuis la chute de l’Empire d’Orient, published in Geneva in 1828 by the Phanariot scholar Jakovakis Rizos Nerulos, or the memoir Précis historique sur l’état actuel de l’ Eglise orthodoxe (non réunie) d’Orient, which Metropolitan Ignatius of Arta gave to the Tsar in 1809. Kapodistrias’ interest in culture is mainly reflected in the foundation of the “Society of the Friends of the Muses”, after the initiative he undertook together with some of his friends. The aim of the Society, founded in 1814 in Vienna, was to help young people from Greece to study at European universities and thus to pave the way for Greece’s intellectual renaissance. In this venture, Kapodistrias was not alone: he closely collaborated with his intellectual teacher and mentor, then Metropolitan Ignatius of Oungrovlachia, the Phanariot Alexandros Sturtzas and his sister Roxandra, the Corfiot scholar Andreas Moustoxydis, the Zakynthian diplomat Georgios Motsenigos, etc. It might sound quite odd today, but Kapodistrias could not speak – nor was he comfortable writing in greek, compared to his fluency in the Italian and the French language. This was quite common during that period for Corfiot nobles, who were taught by Italian professors and at Italian universities. 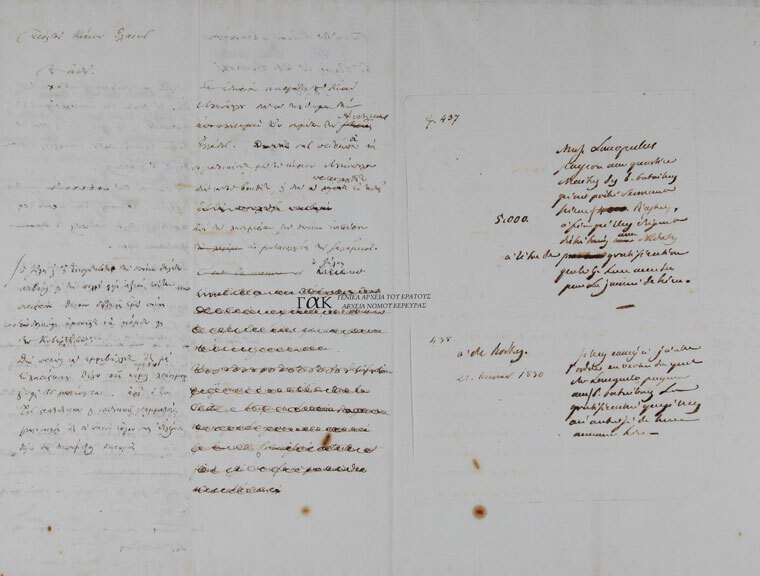 Kapodistrias was taught the official Greek language in a more systematic way when he was already in Russia, after 1809, having as his teachers once again the Metropolitan Ignatius and his secretary, the scholar Dimitrios Mostras. Kapodistrias shared his ideas with a group of people inspired by the ideals of the Orthodox Enlightenment. The Orthodox Enlightenment brought together two Greek traditions of the eighteenth century: the so-called “Adriatic Enlightenment” that had been developed in the Ionian region, which was primarily expressed by Eugenios Voulgaris and Nikiforos Theotokis, and the “Phanariot Enlightenment” developed as part of the “Ottoman Enlightenments” in the region of the Principalities of the Danube, which ertr primarily expressed by the Phanariots scholars and the Ecumenical Patriarchate. Kapodistrias’ intellectual circle included people, such as the Metropolitan Ignatius and his secretary, the scholar Dimitrios Mostras, the Phanariots scholars Alexandros Stourtzas and Jakovakis Rizos Nerulos, Corfiot scholar Andreas Moustoxydis, and others. Following the Vienna Congress (1814), these people had reposed their trust for Greece’s liberation and, more generally, for a conservatively liberal reformation of society, in the Tsar Alexander I. During the years after the outburst of the Greek Revolution, rather disappointed by Russia’s stance towards it, most of them were reorienting their political stance.